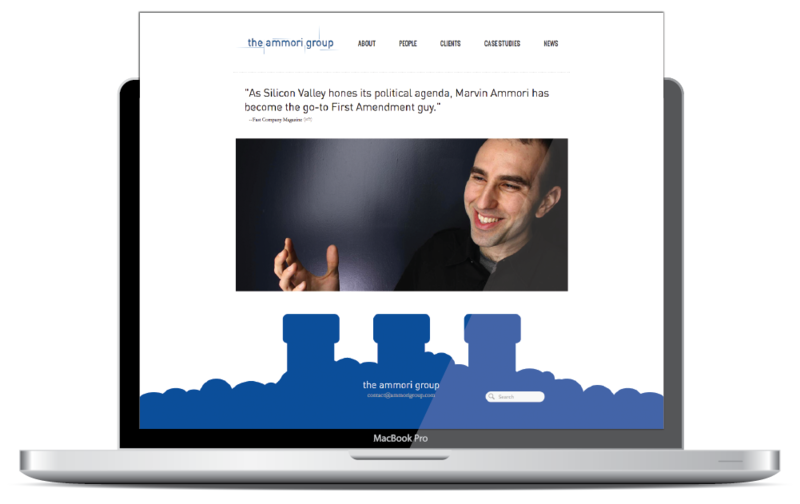 Web Design for The Ammori Group, a law firm and public policy firm based in Washington, D.C. and Silicon Valley. 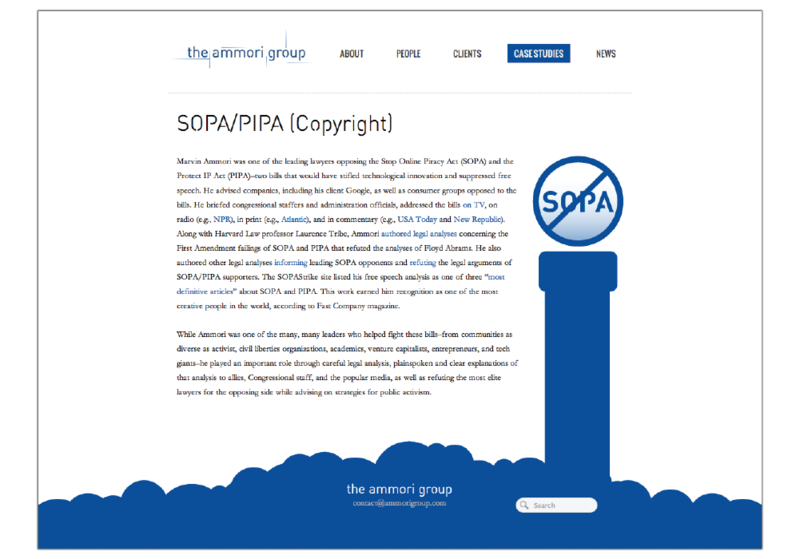 The Ammroi Groups’s strategies opposing SOPA and PIPA earned Marvin Ammori recognition by Fast Company Magazine as one of the 100 Most Creative People in 2012. Before founding this firm, Ammori had been one of the world’s leading lawyers advocating for open-Internet rules to govern wired and mobile platforms–including handling the nation’s most significant network neutrality proceeding, the Comcast/BitTorrent case. He’s also a really cool guy.